Anyone can hit a snag in his career and fall through the cracks. It happens to even the best of us. Sometimes the circumstances are related to us and sometimes they are completely out of our control. No one is untouched by this phenomenon. It happens to movie stars, famous players, artists, singers, as well as, the local security guard or errand boy. Fact is that we cannot remain stuck in the rut and need to pull ourselves up, when the job slump hits us. Just like every other adversity that you face in life; job slump too can be faced and weathered by taking the right steps. Utilize your time by learning new skills and upgrading the existing ones. Learning never hurt anyone. Join a course on behavior change or take up further studies or join a course to aim for a higher paying job. Get trained for a more lucrative or easily available job field. The professional resume makers are there because they do make a difference in your jobs search. A professionally written Curriculum Vitae or Resume can get you that initial interview call. If you do not wish to get it done by others; you can search the net for what a professionally written resume looks like and improve your resume by yourself. If you are a good networker; then chances are that you won’t stay without a job for long because your friends and acquaintances will help you score a good job sooner or later. But, if you have not been networking well and have not stayed in touch with friends, colleagues and co workers; then it is time you starting doing so. Contact them all and inform them that you are looking for a job. These are the people who can give you the inside info and let you know where and when a job vacancy is likely to come up, long before it becomes public. 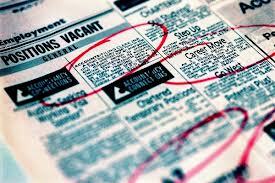 They can also help by forwarding your resume to the right person with the right word and at the right time. Hard times call for hard measures to be taken. Tighten up your finances and be willing to settle for lesser money than you used to make earlier. When there is a slump the jobs are in high demand and the employers have too many options and choices at their disposal. For you this would result in lesser room for salary negotiations. In order to create and maintain a smooth career you need to keep an eye on the industries that are on the rise in your region. Certain industries and Jobs are always on the rise. They may keep changing but there is always a growth in the job market in some or the other category. When the job market is facing a slump; look for companies and with more stable work environment and growth prospects. Be aware of your own skills, accomplishments and strengths. You should know what your objective is and what you want to do. You would do well to practice delivering your objective in twenty five words or less. Stay focused and be clear about your priorities and goals. Do what needs to be done. Be persistent, don’t give up and don’t lose heart. Success comes to those who have faced and braved failures. A negative attitude can make all the difference. It has a disastrous impact on your morale, happiness and mind set. It spreads like a virus and impacts all who come in its range. On the other hand, there is nothing as potent as a positive attitude as it rubs off on those around you. So, stay upbeat, stay positive and have full faith in your own abilities and unique qualities. Keep at it, be persistent and never give up. Remember your confidence in yourself and your ability to sell yourself to others is the key to acing an interview and getting that much desired job.